The coach of world 1,500-metre champion Genzebe Dibaba and other long-distance runners was arrested near Barcelona on Monday. The coach of world 1,500-metre champion Genzebe Dibaba and other long-distance runners was arrested near Barcelona after Spanish police raided his hotel room and found traces of EPO and other banned substances on Monday. Jama Aden, a Somalian, was detained along with one of his unnamed trainers from Morocco, as the IAAF tested 30 athletes who were also guests at the Sabadell hotel, about 25 kilometers from Barcelona, where the coach has established annual training camps since 2013. Police confirmed Aden and his trainer were under arrest on charges of administering and distributing doping substances and endangering public health. After questioning by law enforcement, both detainees should face prosecution within 72 hours. Local authorities did not expect further arrests to follow. The athletes, including Dibaba, at the raided hotel were mainly from Somalia, Sudan, Ethiopia or Djibouti. 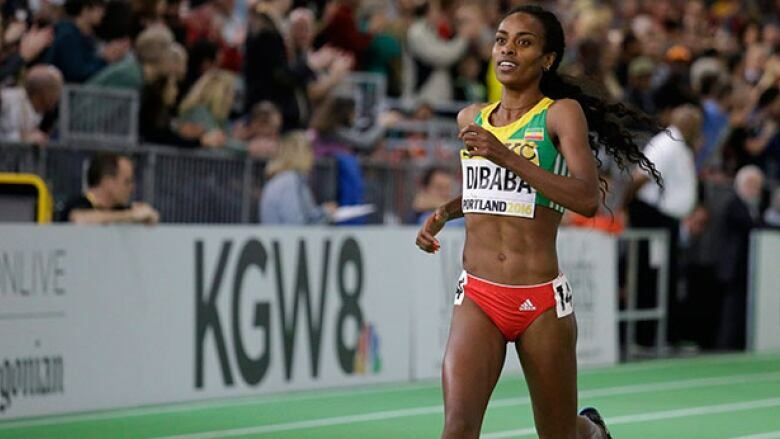 Didaba is a heavy favourite to win the Olympic women's 1,500 in Rio de Janeiro. A simultaneous police raid in Madrid also yielded 16 arrests related to the trafficking of drugs and anabolic steroids. Despite coinciding in time, law enforcement officers stressed there was no connection between the Sabadell operation and the bust in the Spanish capital, mainly linked to the bodybuilding underground market for steroid users.